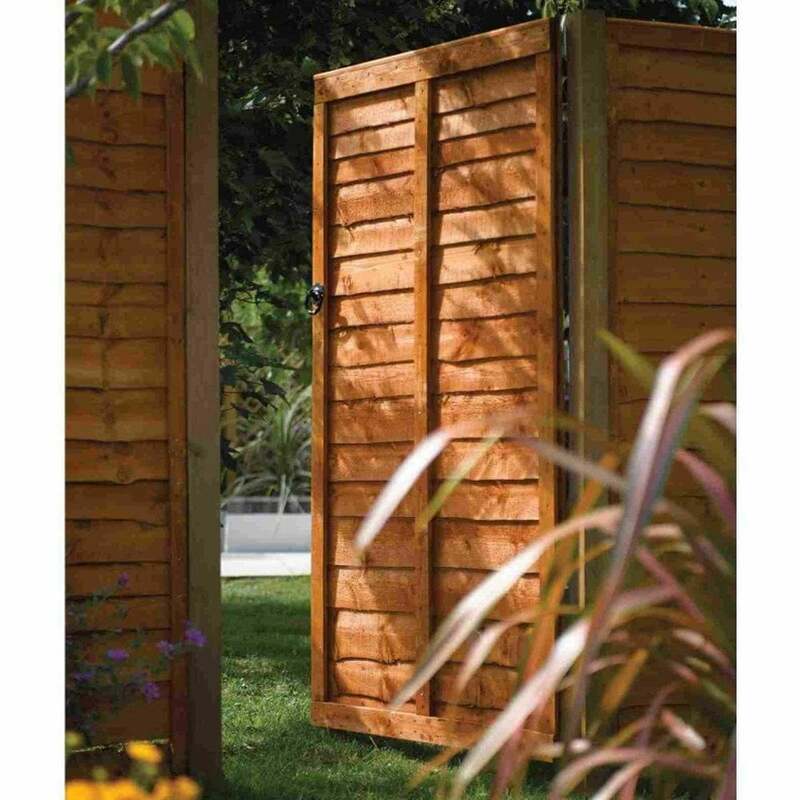 Rowlinson Traditional Lap Gate Dip Treated: The Traditional Lap Gate by Rowlinson is a wonderful product to add security and privacy to your property. The Lap Gate has been constructed from waney edge boards to create a classic design and will sit perfectly with the Rowlinson Traditional Lap Fence Panels. The Rowlinson Gate has been dip treated in an attractive honey brown finish and will hang on either the left or right hand side depending on your preference.